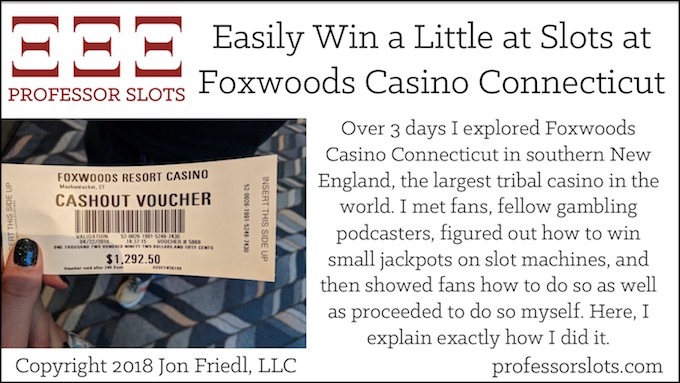 Over 3 days I explored Foxwoods Casino Connecticut in southern New England, the largest tribal casino in the world. I met fans, fellow gambling podcasters, figured out how to win small jackpots on slot machines, and then showed fans how to do so as well as proceeded to do so myself. Here, I explain exactly how I did it. 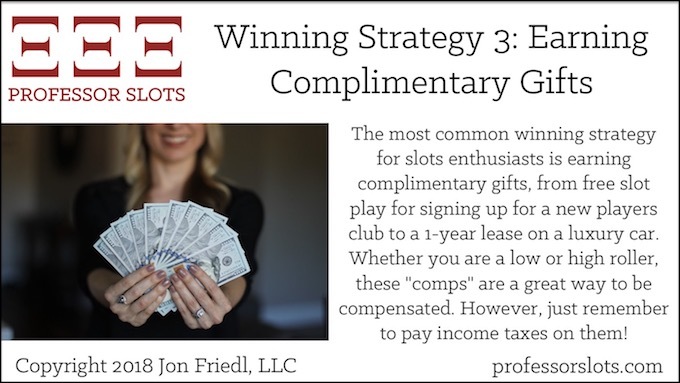 The most common winning strategy for slots enthusiasts is earning complimentary gifts, from free slot play for signing up for a new players club to a 1-year lease on a luxury car. Whether you are a low or high roller, these “comps” are a great way to be compensated. However, just remember to pay income taxes on them! Knowing what you’ve won and lost at slots is advantageous, so keeping gambling records is important for slots enthusiasts. This includes using gambling losses to possibly get a tax refund as well as being able to analyze your overall gambling performance over time. 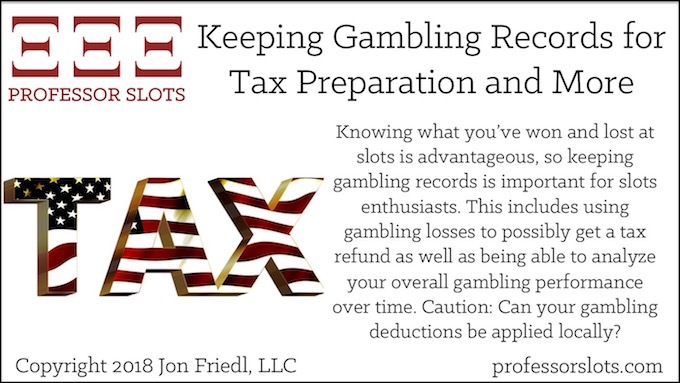 Caution: Can your gambling deductions be applied locally? 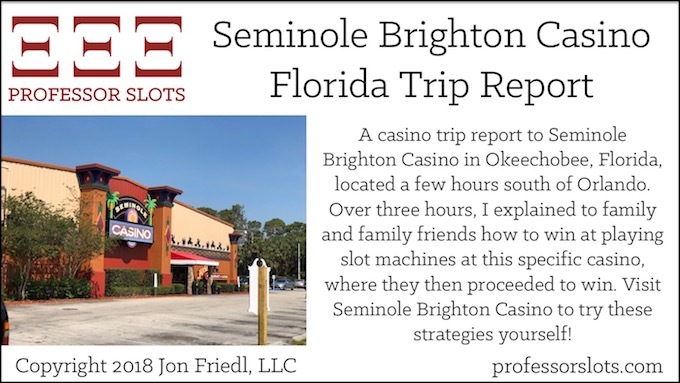 A casino trip report to Seminole Brighton Casino in Okeechobee, Florida, located a few hours south of Orlando. Over three hours, I explained to family and family friends how to win at playing slot machines at this specific casino, where they then proceeded to win. Visit Seminole Brighton Casino to try these strategies yourself! 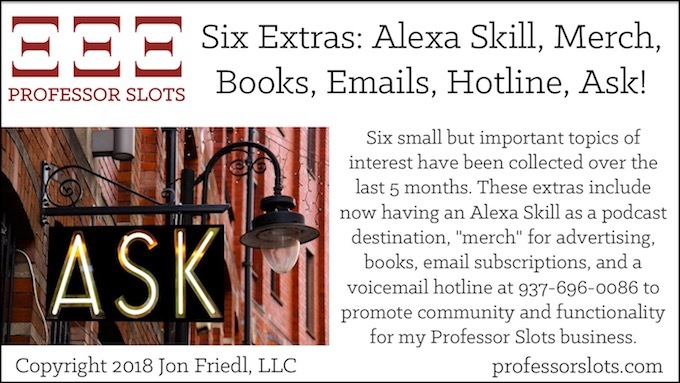 Six Extras: Alexa Skill, Merch, Books, Emails, Hotline, Ask! Six small but important topics of interest have been collected over the last 5 months. These extras include now having an Alexa Skill as a podcast destination, “merch” for advertising, books, email subscriptions, and a voicemail hotline at 937-696-0086 to promote community and functionality for my Professor Slots business. Realistic winning strategies also exist for playing progressive slot machines, and are fully explained here. 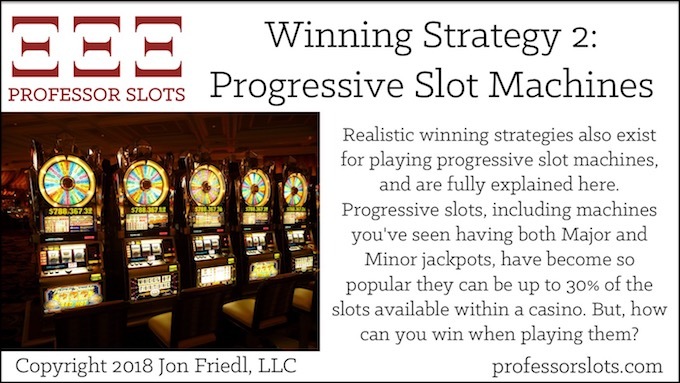 Progressive slots, including machines you’ve seen having both Major and Minor jackpots, have become so popular they can be up to 30% of the slots available within a casino. But, how can you win when playing them?